Father King has been advised by the bishop that he will be taking up a new ministry and therefore he needs to give up his post as school chaplain to our school and Taylor High School. This is a very sad time for Father King as he dearly loved his time in our school. His final day at school should be next Wednesday but as he is going on our Rome Pilgrimage, tomorrow will be his last mass in Our Lady’s High School as our chaplain. Please come along to mass tomorrow morning to say goodbye. The Leavers’ Mass was very moving indeed. Large numbers of parents, grandparents, friends and family came along. The choir performed beautifully as always and Fr King provided an uplifting sermon. All of our pupils received lovely rosary beads as a parting gift in memory of our patron, after which everyone enjoyed a fabulous lunch. Apologies to those who came flying in at the last minute having gone elsewhere to get shirts signed. 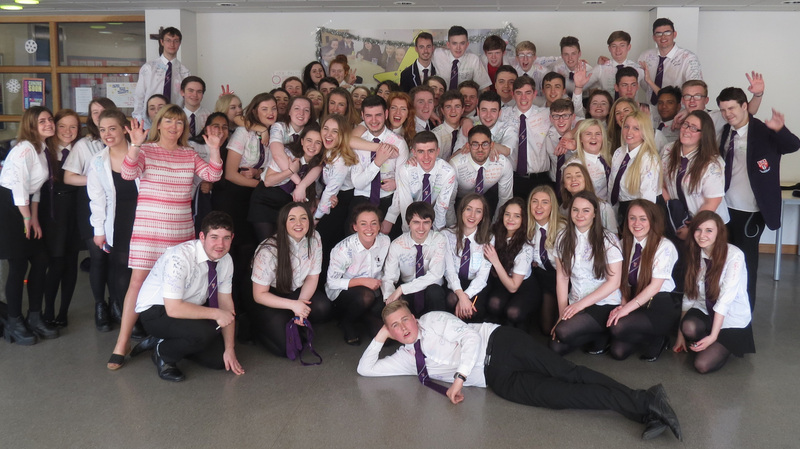 Good luck in your exams and bring on the prom! Lent began this Wednesday, 18th February 2015. There were services during the course of the day to ensure that pupils and staff received their ashes. Many thanks to Fr King and Fr Reilly and to all of our Eucharistic Ministers: Katie Ann, David, Ryan, Michael, Liam, Jack, Rachael, Lisa, Darcey, Aaron, Jakub and Connie. 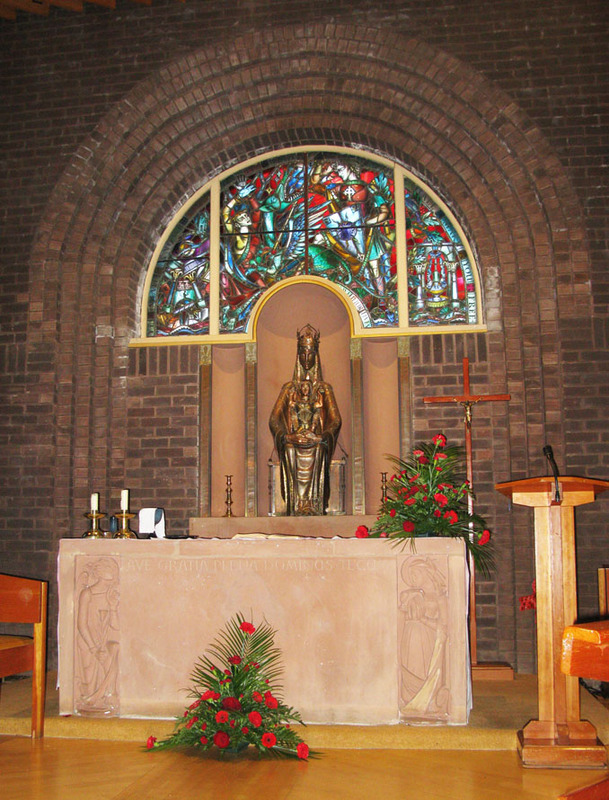 Mass will take place on Monday and Wednesday mornings in the War Memorial Chapel with Fr King, and Eucharistic Services on Tuesdays, Thursdays and Fridays. P7 Mass was celebrated by Father King on 9th June. A large number of parents and P7 and S6 pupils attended as well as Head teachers, Depute Heads and teachers from local primaries. For the first time in OLHS, a junior band of P7 pupils played at Mass. The school choir also performed. After Mass parents had the opportunity to meet PT Pupil Support. A group of 24 sixth year pupils, along with DHT of Upper School Mrs Mulholland, RE teacher Miss McGinness, two former teachers, Mr Crossan and Mr Knighton, and priests Father Paul Morton, and Father Frances King made their pilgrimage to Rome on Monday the 13th of February. The trip, organised by Alba Tours, saw Pilgrimage leader and former chaplain Father Morton take the group out to Lazio for a very memorable experience. Staying in a convent near St Peter’s Basilica, Mrs Mulholland tells, the group travelled all over Rome. While visiting all the major Roman tourist attractions, they also saw mass celebrated in many churches, including St Peter’s, climbed the Dome and Scala Sancta, experienced the four major Basilicas – St Peter’s, St John Lateran’s, St Mary Major’s and St Paul’s beyond the walls – and also got the chance to view the Vatican museums and gardens, which were particularly beautiful. However, the highlights of the trip had to be the mass celebrated in the tomb of St Peter, and the special mention from the Pope in his audience with English speakers, in which they sang a hymn for him. The trip had been planned since September by Father Morton, and fundraising events were planned. Mrs Mulholland has expressed her grateful thanks to Father Morton and Alba Tours for organising the trip, Monsignor Cushley in Rome for sorting their access to Scavi and the Papal mention, and also, former pupils studying at Scots College Collum Martin and Kenneth MacDermid for booking their wonderful meals. The Rome Pilgrims were present at the General audience with the Pope where they were highlighted and sang a verse of our school hymn. At the end of the English speaking audience the pope especially welcomed the students of Our Lady’s High Shool and gave them a smile and a wave. You can watch the whole audience here. 40 mins, 40 seconds for about 20 seconds. Today is the beginning of Lent as it is Ash Wednesday. Every pupil and every member of staff had a chance to go to the Kamwokya room to receive ashes. Father King led the services along withthe 6th year Eucharistic Ministers and pupils from each year group to say the readings and psalms. Lenten services will be held every Monday, Wednesday and Friday with Fr King, with Eucharistic services every Tuesday and Thursday for the remainder of Lent. The SCIAF Wee Boxes Appeal is running during Tutor Time, along with our usual Lenten Charities fundraising events organised by the pupils in their RE classes. Pupils are also being invited to take part in the SCIAF sponsored fast, with forms available from Miss Kane (younger pupils should seek permission from parents). The school is also looking forward to Patron’s Day on March 25th, with Bishop Devine celebrating Mass. While some of our annual celebrations have been affected by the weather, Christmas is in full swing at OLHS. Christmas parties were very successful and S1 went to see Aladdin at the SECC. 6th year held their annual party for the pupils of Clydeview School and pupils and staff have nominated senior citizens to be invited for a special lunch. RE classes have gathered toiletries to create parcels for homeless people and staff have also collected chocolates and biscuits for the elderly. Our School Chaplain, Fr Frank King, has been celebrating Advent mass in the Memorial Chapel every Monday, Wednesday and Friday, and year group services will be taking place in the last week of term. All pupils will have the opportunity to receive the Sacrament of Reconciliation. All the staff and pupils of Our Lady’s High School, Motherwell, wish everyone a peaceful and happy Christmas. 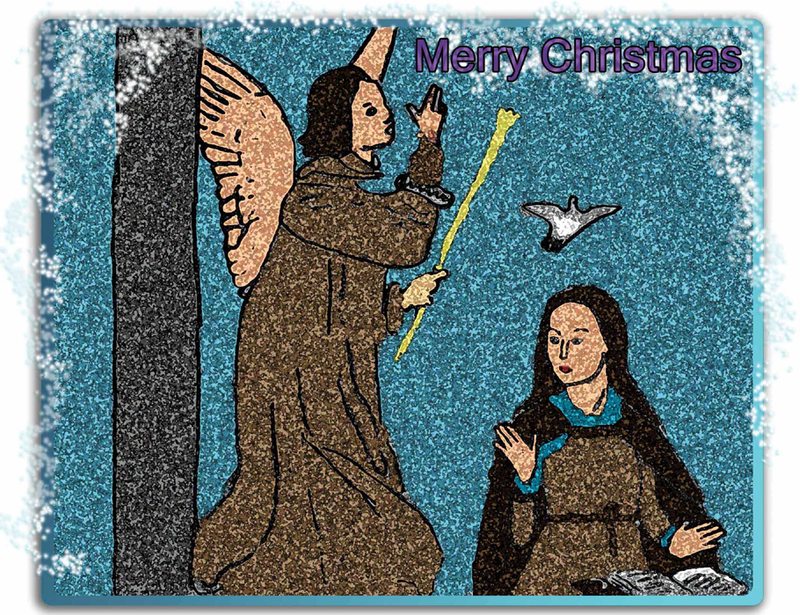 The creator of this year’s OLHS official Christmas card competition is S1 pupil, Wiktoria Betka. 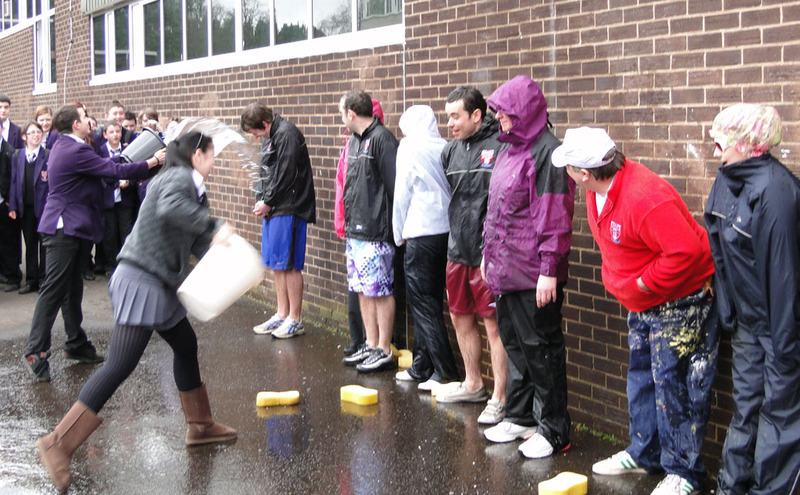 For more information please see Ms Steinert’s blog. The Annual Awards Ceremony took place on Tuesday, 21 September. Mrs Christine Pollock, Executive Director of Learning and Leisure addressed the award winners and presented the awards. Mrs Pollock had a special word for each and every pupil. Provost Tom Curley presented the Special awards and again took time to speak to each pupil. A full list of award winners will be published in the near future. Our school chaplain, Father King, celebrated Mass with some of our exam candidates last week. 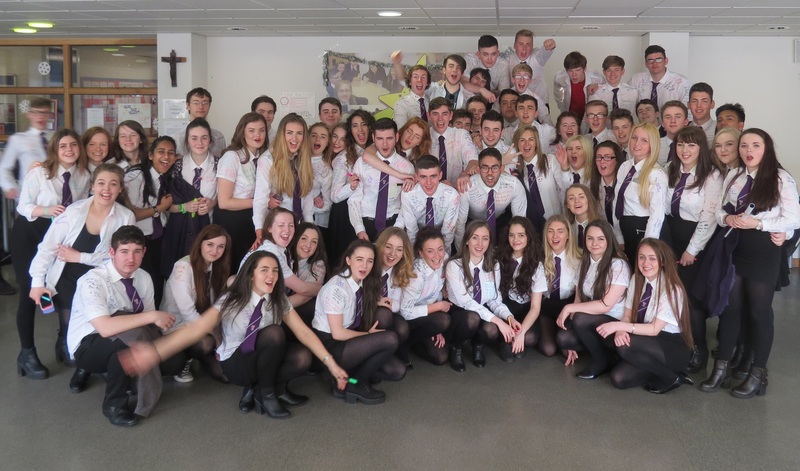 4th year pupils celebrated Mass yesterday, less than two weeks before their first exam on Friday 30th April. 4th year pupils exam leave begins on Thursday 29th April at 3.30pm. Mass was also held on Friday 23 April for 3rd year pupils, who will all have exam leave on 28th April in preparation for their Standard Grade English exam the following day. 5th and 6th year pupils will begin their exam leave on Wednesday 12th May. Father King spoke to all pupils about the importance of using their talents, working hard and trying their best. Many thanks to all of the parents and wider school community who came along to celebrate with the children. Good luck to all of our pupils in the forthcoming exams.